What he finds in London is Lady Elizabeth Talbot, who is willing to pass a few shillings to this blundering brawler if he will help her find her husband. Poor William does not realize the trail will lead to the truth behind the death of Shakespeare’s great rival, Christopher Marlowe - or to a lifelong love affair with a woman far above his station. Each book tells the story of William’s adventures as England’s first gumshoe, set against turbulent Elizabethan politics; of his romantic pursuit of the impossible Elizabeth Talbot; while charting the career of his up and coming dramatist cousin, the bard of Stratford, but just Will to his family. I’ve always been fascinated with Shakespeare’s life - but writing directly about his life ... we don’t know enough about him to really write a definite tale. So making him peripheral while still a major character - that works. And I also wanted to do something that was fun. 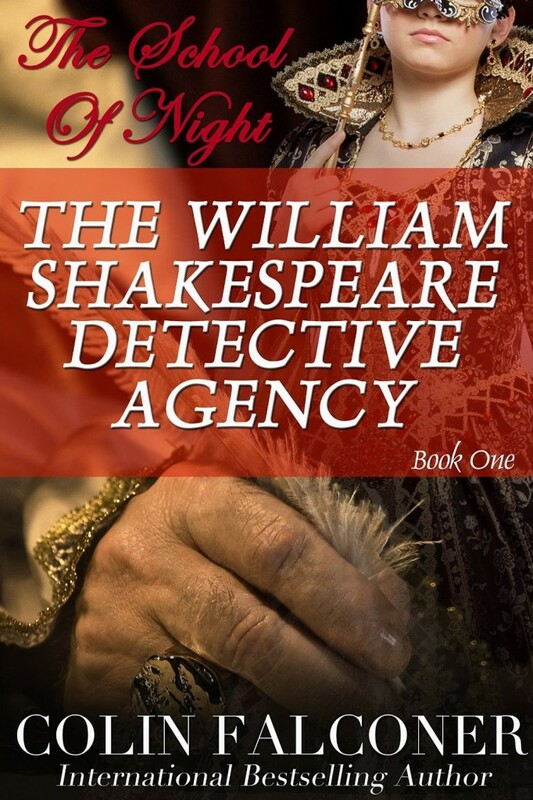 The William Shakespeare Detective Agency is a lot of fun, and still describes in great detail the times in politics and in the London theatre. I read as much as I can get my hands on. But it’s not a history lesson. I find what I need and build it around the story. Not the other way round. What is your daily writing schedule? I get up at six and write till lunchtime. Most days. I have a schedule for each stage of the book and I keep to it. Hemingway. When I was 16 I liked the idea of having four wives, going to bull fights and growing a beard. Fortunately that stage passed. Also, the guy who invented Classics Illustrated Comics when I was 8. Most of all Basher Briggs, my English teacher when I was 15. Ken Follett. 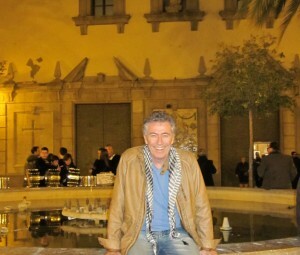 Ian McDonald Fraser. Lyndsey Davis. Hilary Mantel. Travel. Play guitar. Do indoor rock climbing. Learn tango. Spent time with my daughters - not that easy, one’s in London, one’s in Java. I’m working on the sequel to ISABELLA and then i want to do books three and four in this Shakespeare series. The prize is one paperback, open to US only. Colin Falconer writes such an eclectic range of books; if the one you have just read was not quite to your liking, choose another. Historical fiction is my favorite genre. This looks very interesting. I have never read any books by this author, but he sounds like a very creative writer. I would love to share this with my daughter. I'm fairly obsessed with Shakespeare, so this looks like a book I really have to read! Very unusual story. Sounds intriguing, though. I don't usually read mysteries because they frustrates me but I think I could make an exception for this one! *grin* kristiedonelson(at)gmail(dot)com Thank you. I love love love mysteries!! This looks like great book. I love the idea of a mystery involving Shakespear. I love Shakespearian England and mysteries so this sounds like a fun read. This is definitely an interesting premise, and sounds like a thoroughly interesting story. This sounds like a unique and interesting book. I've read some historical fiction, and I'm really looking forward to reading this. It sounds like a real page turner! Heck, his life sounds like fun too! The historical fiction looks like a very interesting story. This sounds awesome! I never used to like history, but i love history mystery!!!!! This is definitely a new way of looking at Shakespeare. This is an interesting way of looking at Shakespeare. My son would like this interesting way to learn more about Shakespeare!